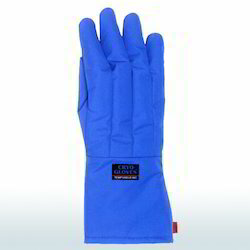 We are the prominent trader, distributor and supplier of a wide assortment of Stainless Steel Metal Gloves. 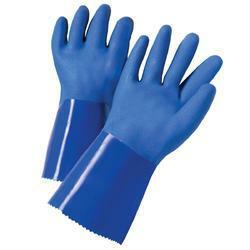 Our offered gloves are available in different colors, designs and sizes to fulfill the needs of our clients. 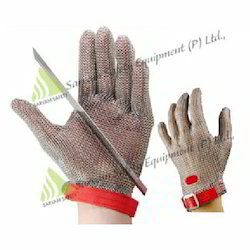 For designing these gloves, we utilize superior quality stainless steel and cutting edge technology. We offer these gloves to our customers in different specifications and designs at market leading prices. Backed by rich industry experience and knowledge, we are engaged in trading, distributing and supplying a comprehensive range of Waterproof Cryo Gloves. Protections against hazardous ultra-cold environments, offered gloves are manufactured using superior quality raw material and modern techniques in sync with industry norms. Our provided gloves are tested on different parameters so as to ensure their quality. Available in different sizes, designs and colors, these gloves can be customized as per the demands of our clients.